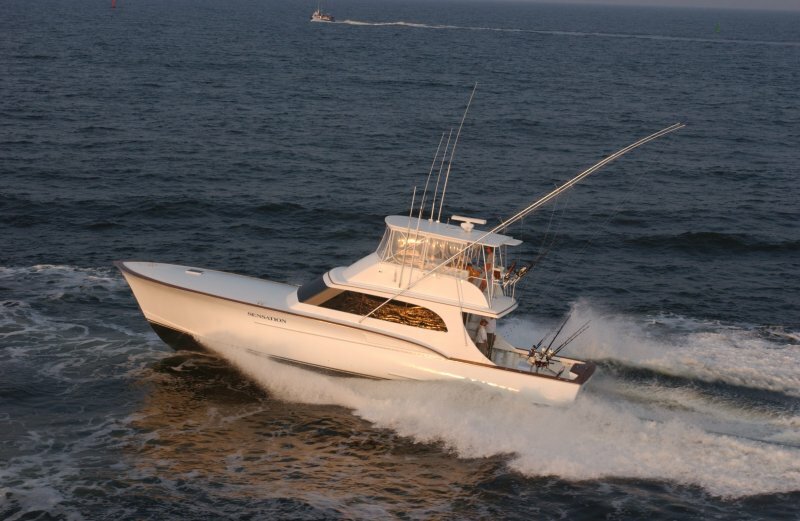 The official results are in, and we’re proud to announce that the Alliance Fishing Team has won the 2011 North Carolina Governor’s Cup Series aboard the 58′ Gypsy Angler and the Galot 3. The team totaled 3200 points this season, with a lead of 772 points over 2nd place! This marks the 2nd consecutive year that a Jarrett Bay boat has won the Govenor’s Cup – last years champion being the 67′ Waste Knot. Several other Jarrett Bay boats highlighted the top portion of the leader board, including Bill Collector (4th) which was the top charter boat, Builders Choice (5th), Chainlink (9th), Sea Striker (10th), Weldor’s Ark (11th), & Sensation (19th) out of a field of 42 boats. The NC Governor’s Cup is a conservation series which tallies all billfish catches during the North Carolina tournaments and awards top boats and participants for doing their part in helping to protect our state’s valuable billfishing resources. The 2011 fleet consisted of 42 vessels with a catch total of 392 fish – 196 Billfish – 33 Blue Marlin – 100 White Marlin – 63 Sailfish – 99.49% of those fish were released. Congratulations to the Gypsy Angler’s owner Robert Graves, captain Guy Herring and the entire Alliance Fishing Team for winning this series and to the rest of our extended Jarrett Bay family for such a great summer tournament season! Let me know if you would like new pictures of the boat. I just refited the whole exterior of the boat Paint Mezz Hardtop riggers etc. Everything on the outside is new. I would also like to have any pics of the boat that you may have when it was the Sensation. I’m making a book of it’s history. I know it was the very first cold molded boat of your fleet but the history is of owners is hard to figure out. As well as who drew the boat weather it was Jim Luxton or Gary Davis nobody seems to know for sure. Thanks I look forward to hearing from you! We’d love any new photos and would be glad to share our photos/knowledge with you Mr. Graves. Randy should be in touch with you soon to answer some of your questions directly. Congrats again on your 2011 tournament accomplishments!